A card for a friend that likes this time of year as much as I do! Ohhhhhhh this is FABULOUS!! LOVING the sequins!!!!! Awesome Mary Ann! 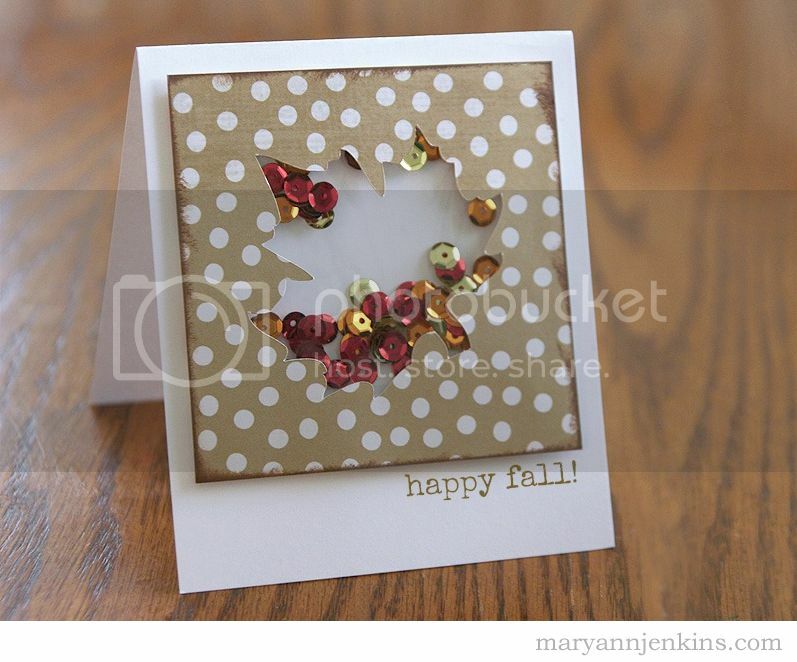 Love how you filled the leaf shape with the sequins!! Oh, I love this very much! The Polaroid format is so cool too! Oh MaryAnn this is fabulous!!!!!!!!! Love the Fall feel that this has. Super idea! Love this! Such a great & creative way to use sequins! What a wonderful and unexpected idea for a card! I love it!